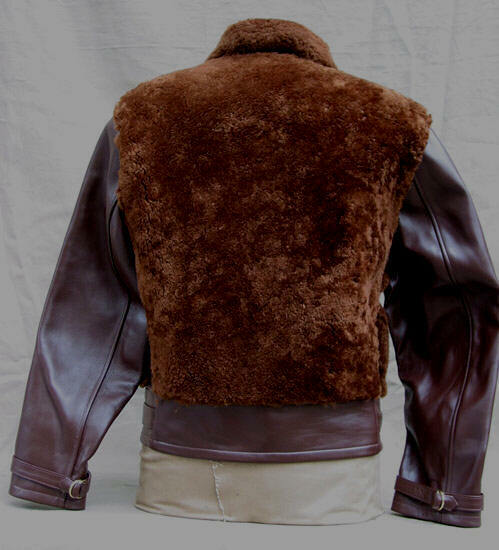 The "Grizzly" Jacket is so called for obvious reasons. 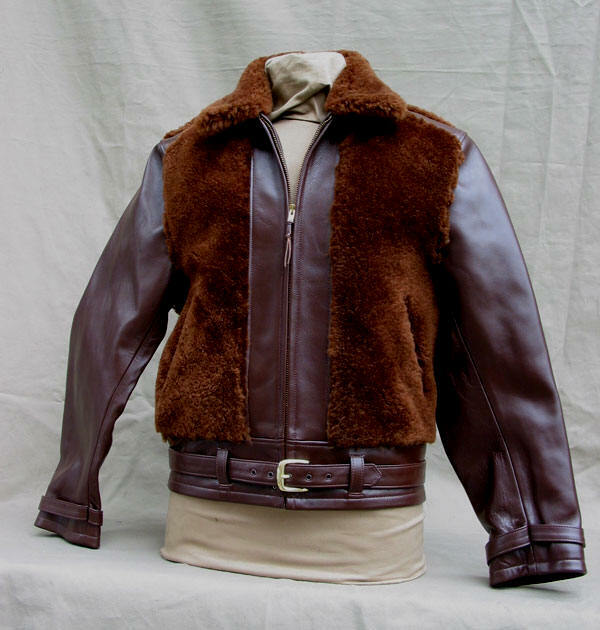 This popular 1930s style combined a Horsehide and Mouton construction in a very unusual design. It certainly has a most antique look. 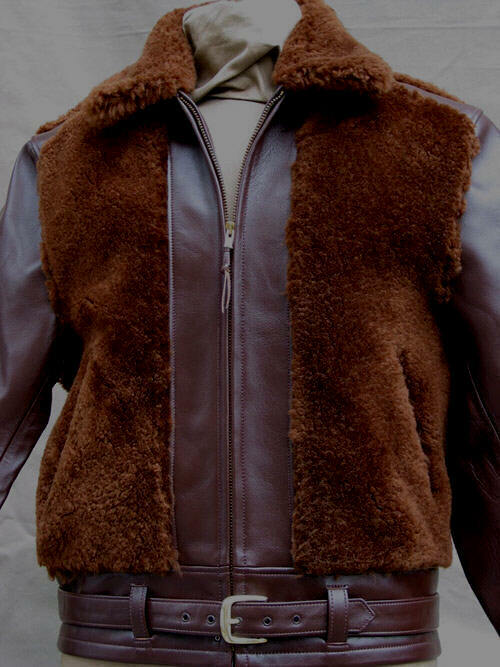 We were commissioned to capture that long-past aura for a Japanese company and thought LOST WORLDS enthusiasts would like to get a look at our work on this now highly collectable jacket. 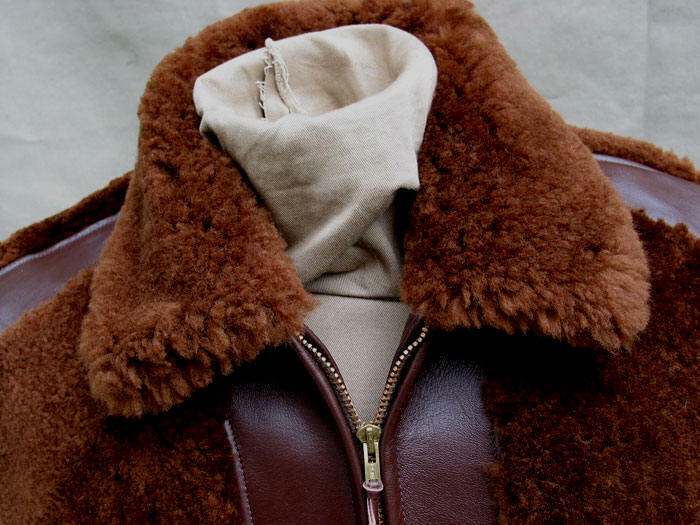 To go with our regular peerless Russet Horsehide we had produced to our specifications dense, genuine (of course) Mouton in an absolutely perfect period color, identical to surviving "Grizzlies." A kind of rusty, oxidized, mildly faded Brown. 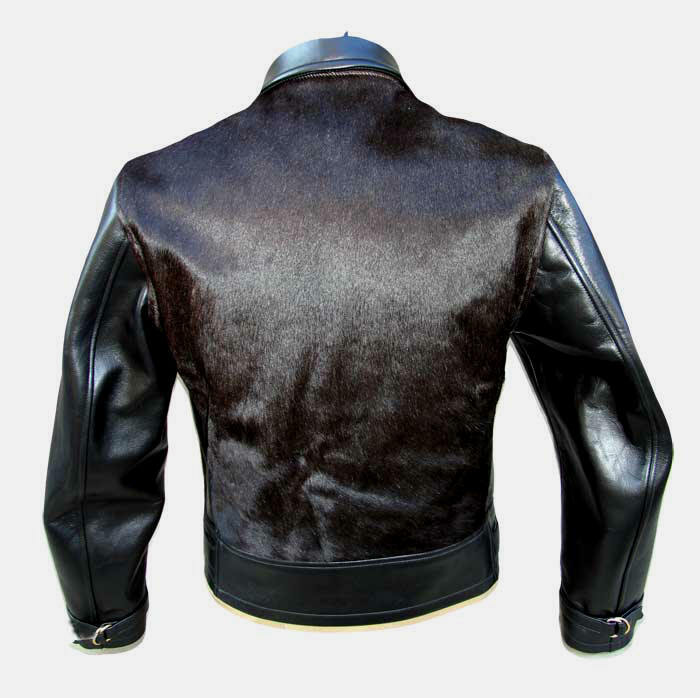 This jacket is available as a Custom Order Only and works equally well for guys and gals. 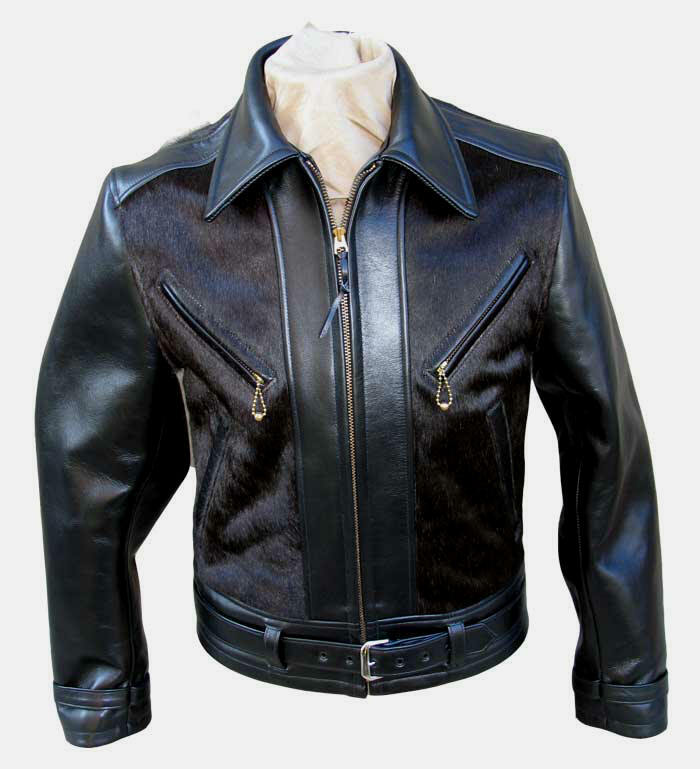 Brass Talon Zipper, Brass Buckles, 100% Heavyweight Brown Cotton Duck Lining.